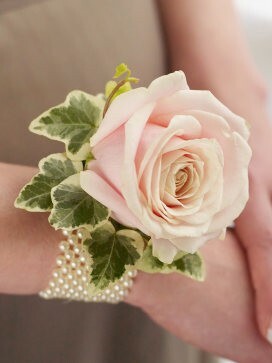 Soft Pink Rose and Pearl Wrist Corsage. 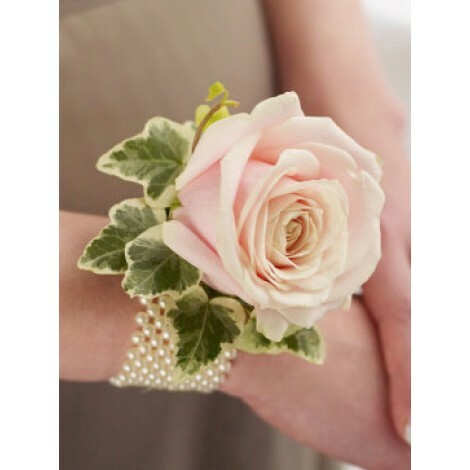 This elegant and very feminine soft pink and pearl wrist corsage is an adorable accessory suitable for any big day or special occasion. 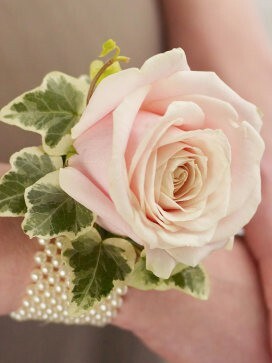 A beautiful, large headed pale pink rose takes center stage, angelically accented by variegated ivy, set onto an elasticated, beaded pearl wristband.